Car batteries can be something you don’t think about often. You just rely on the ability for them to work as needed. It’s especially true today when the majority of car batteries are low-maintenance or need no maintenance at all. New York had a record snowfall last winter. Don't get stuck in the snow, we offer seasonal contracts for snow plowing and removal for both Residential and Commercial Accounts. There are occasions when you need to have a vehicle transported and the standard wheel lift towing isn’t the answer. Fagan's Towing provides that service. We work with all types of businesses to assist with transporting heavy machinery and equipment on our flatbed tow trucks. Welcome to Fagan's Towing of Great Neck, New York. We provide a variety of services; including towing, transport, emergency recovery, and snow plowing. We live by the theory that no job is too big or too small for us to tackle. We work with multiple law enforcement and emergency service agencies, corporations, dealerships, and the general motoring public. At Fagan's Towing, we are firmly committed to earning your business. We pride ourselves in quick response times, professional courteous staff members and reasonable pricing. Try us once and we believe you will be a customer for life. We are located in the Great Neck area and have been serving surrounding areas such as Manhasset, Little Neck, Roslyn, New Hyde Park, Port Washington, Douglaston, Bayside, and more for over 40+ years. Please take a moment to browse through our site to learn more about our company and what we can do for you. If you have any questions or comments, please feel free to contact us at 516-487-6718. We look forward to hearing from you. Vehicle breakdowns, accidents, transport, lockouts, dead battery jump start, car trouble,e tc. 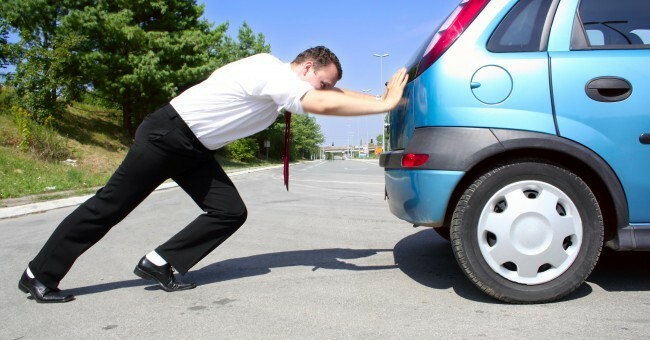 Knowing how to handle a car breakdown is half the battle (the other half, getting your car fixed, comes later). Fagan's Towing explains how to stay safe in 8 easy steps — especially when your car breaks down in a not-so-convenient location. This warns other drivers that something's wrong. Keep your hazards on until the car's safely towed. In an ideal situation, you'll want to aim for the right shoulder of the road. If you find yourself on a road that doesn't have a safe place to pull into, put on your turn signal and try to get into the right-hand lane as quickly as possible. Pulling into the left-hand shoulder is a last resort. If you're driving on residential streets, try to pull into a free parking spot or parking lot if one's nearby. This prevents your car from rolling if you're stuck on any kind of hill. Make absolutely sure the coast is clear before attempting to get out of your car, especially on a busy highway. Trust your gut here — if you feel you'd be safer in the car, go with your instincts and stay inside with your seat belt on. If you made it to the right-hand side of the road, get out through the passenger-side door. And if your engine's smoking or you see flames, get out of Dodge. We are a roadside assistance provider, give us a call if you need further assistance. You want to put both flares behind your car (one near your vehicle, usually about 10 feet behind it, and the other one further away, so long as it's safe). The New York State DMV suggests placing them 200–300 feet behind your disabled car. A popped hood is the universal sign of a breakdown. Once you're safely out of the car, pop your hood to let other drivers know what's happened. Don't try to fix your car by yourself give us a call and let us give you the best advice possible. I used your services last night on Middleneck Road in Great Neck when my car broke down. Your driver Sean was excellent and very professional. at a time when we are vulnerable it is great to be serviced by a company that cares about people in need. I will definitely keep your telephone number on my phone's speed dial for the future and spread the word to family and friends. Best rate for a twenty mile tow I have been quoted. Called over five companies for a quote. Fagan's was very fair with their price. Highly Recommended. Copyright © 2019 FagansTowing.com. All rights reserved.